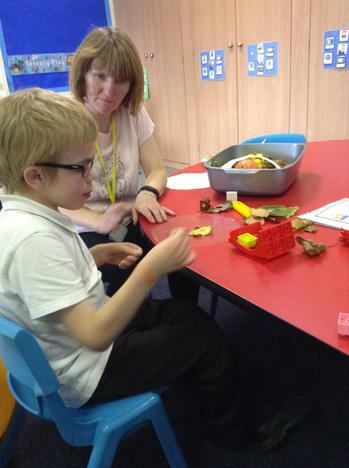 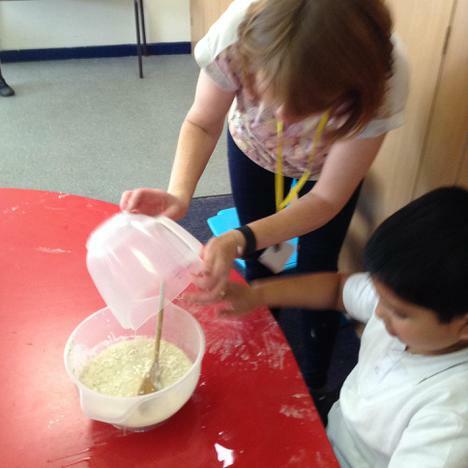 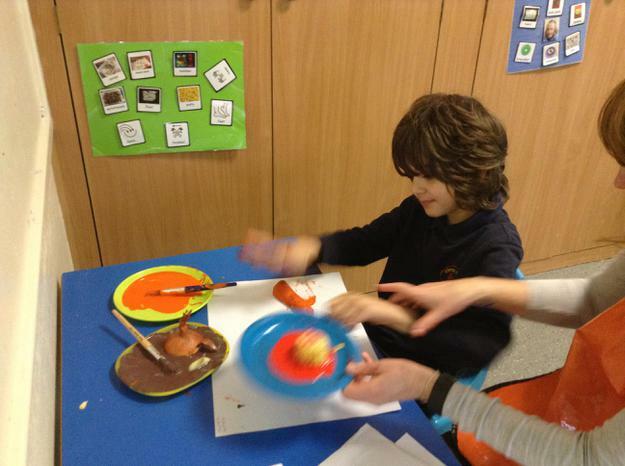 We have really enjoyed learning about Harvest Festival time in Aqua class. 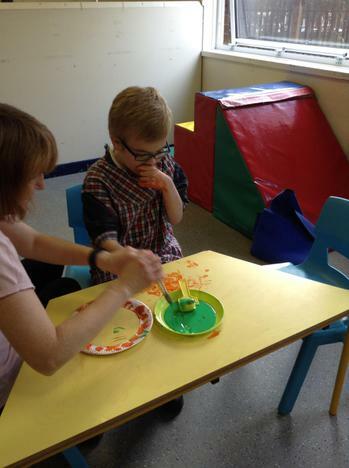 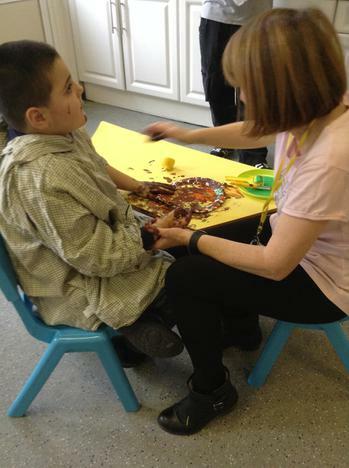 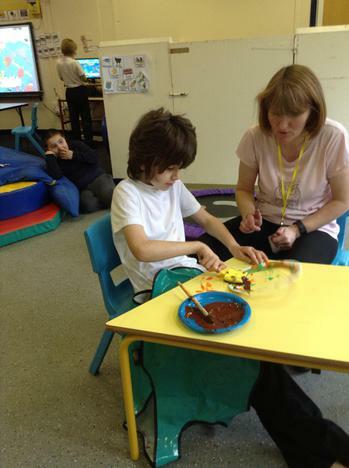 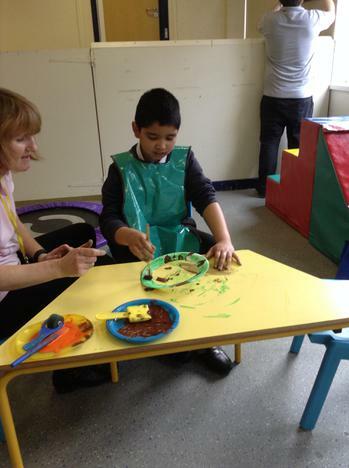 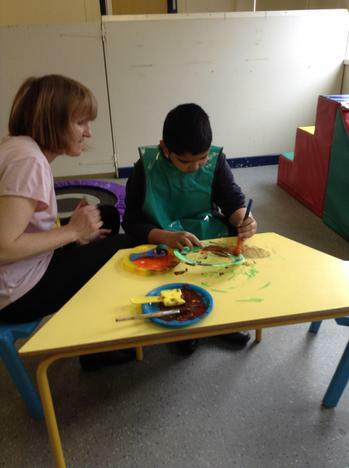 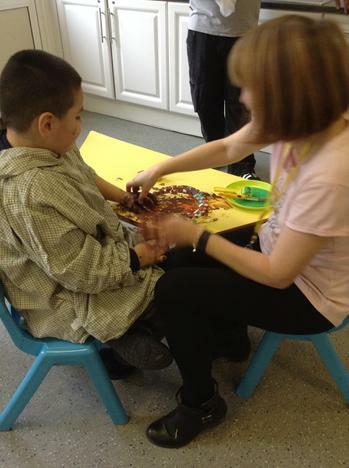 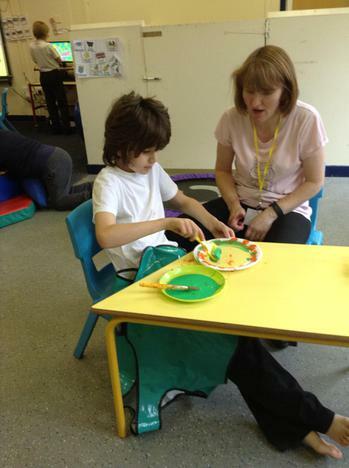 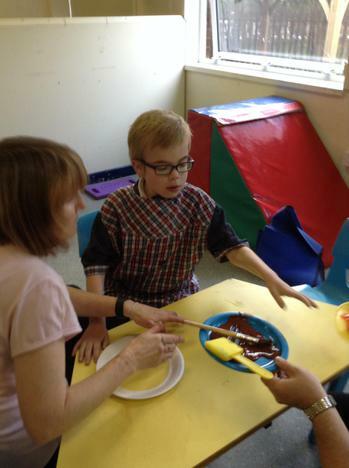 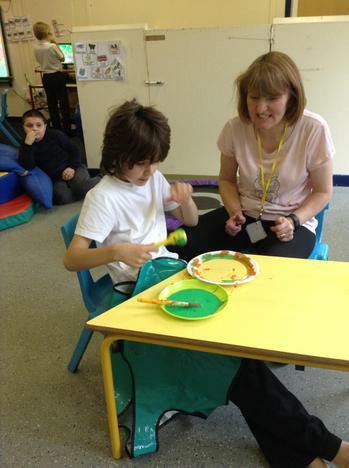 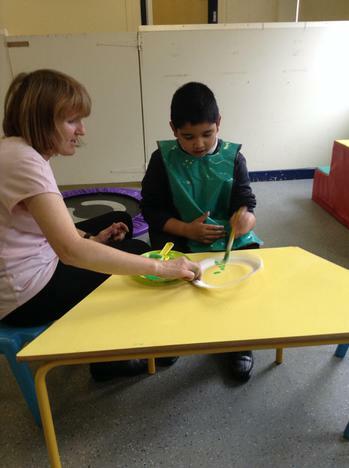 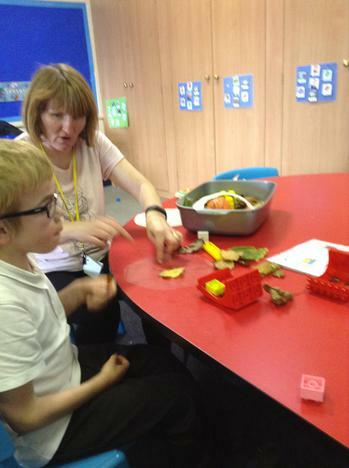 We have linked many of our activities to Harvest time. 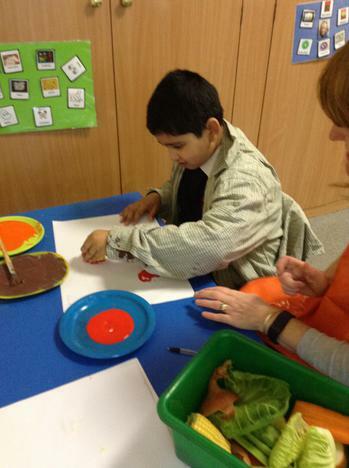 We practiced our painting skills when decorating frames for our Autumn sun catchers. 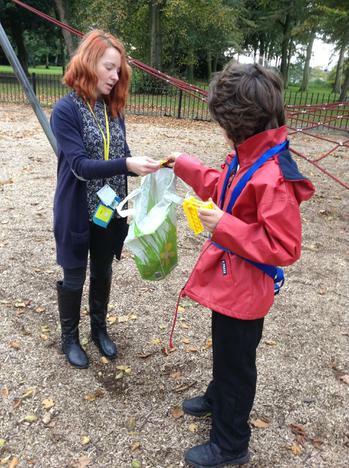 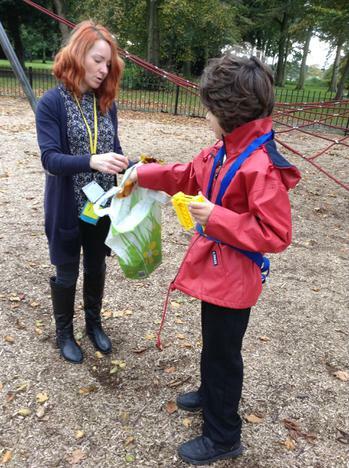 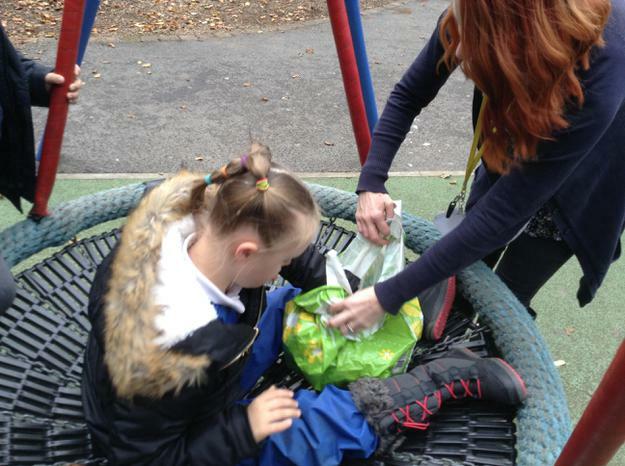 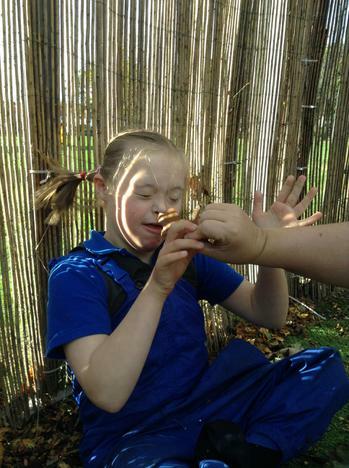 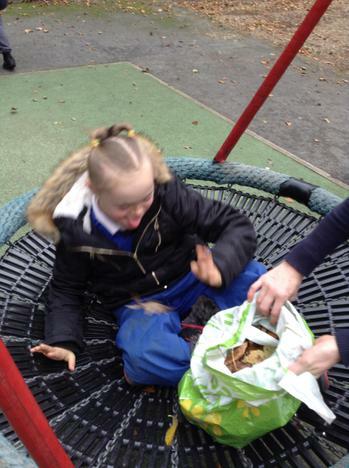 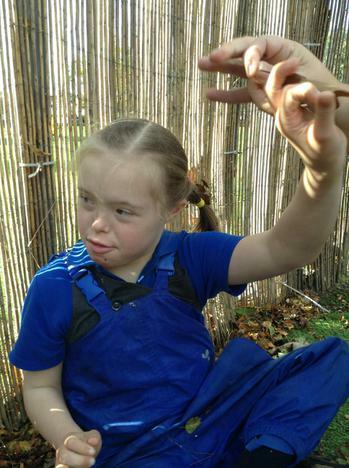 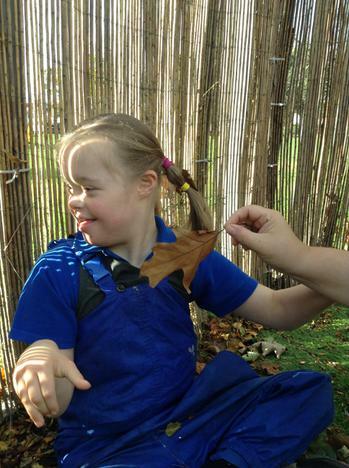 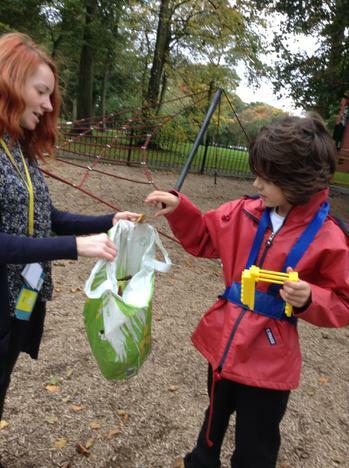 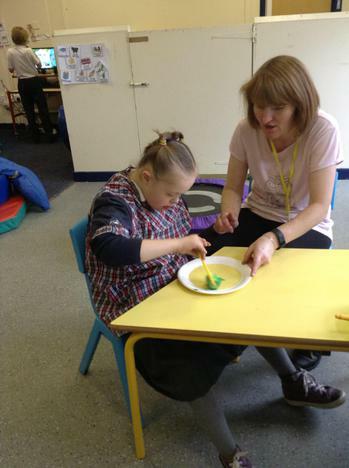 We then went on an educational visit to the local park to find interesting leaves to create our beautiful sun catchers. 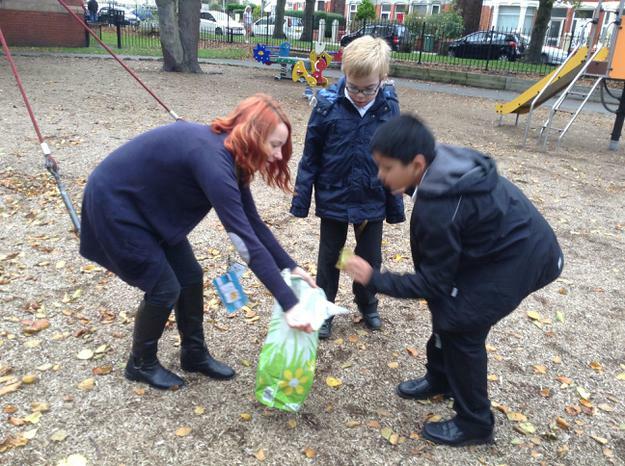 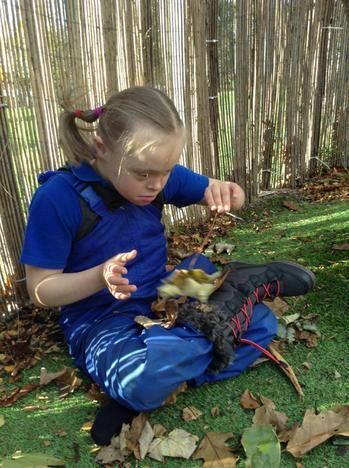 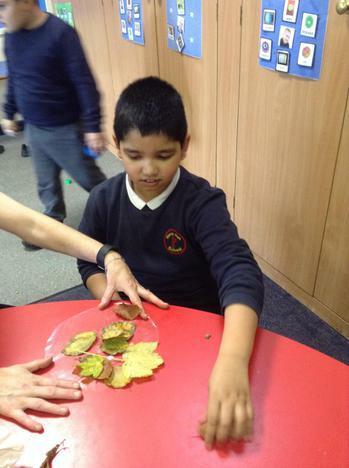 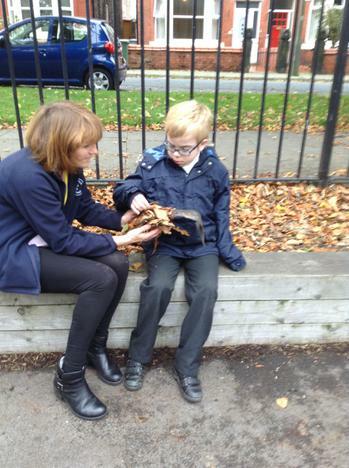 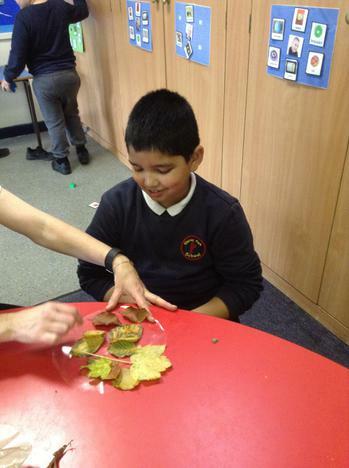 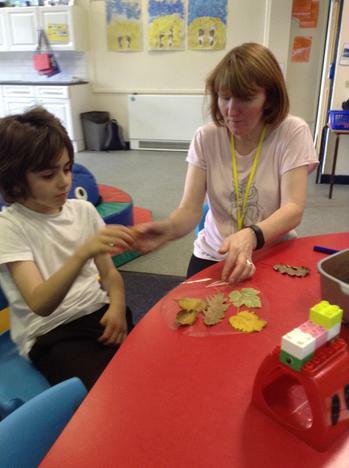 We found red, orange, green and brown leaves in a variety of different shapes and sizes. 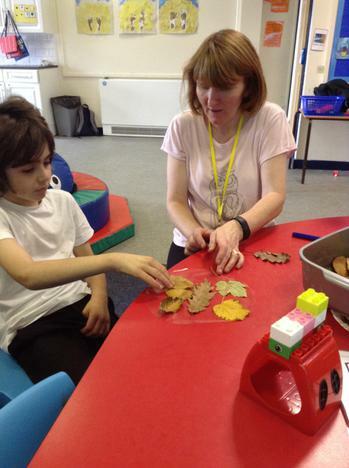 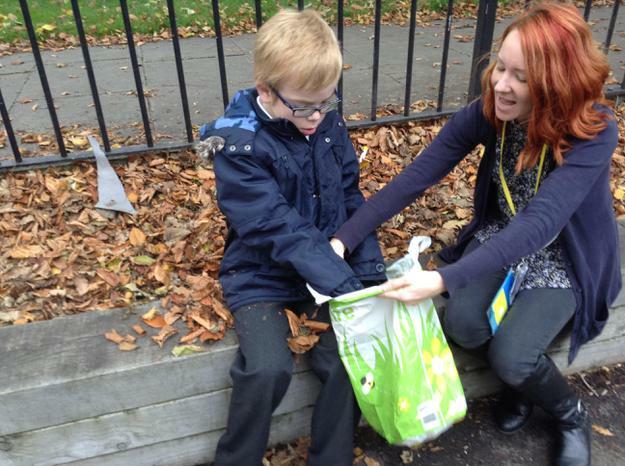 We then chose our favourite leaves to stick on our sun catcher when we returned to class. 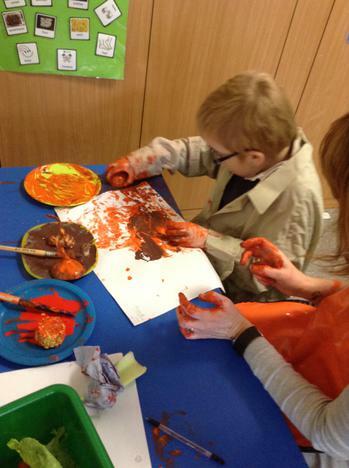 We also used hay, paint and tissue paper to make some lovely scarecrow pictures - we enjoyed exploring the different textures. 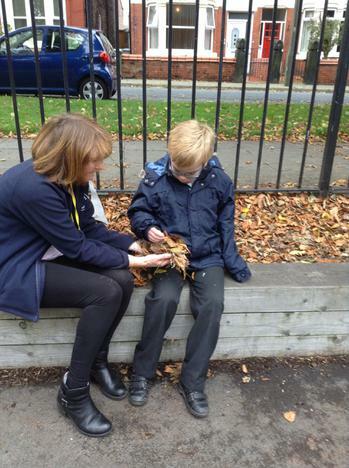 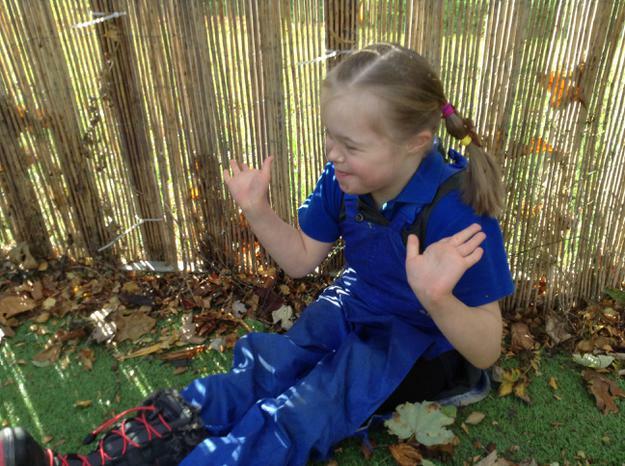 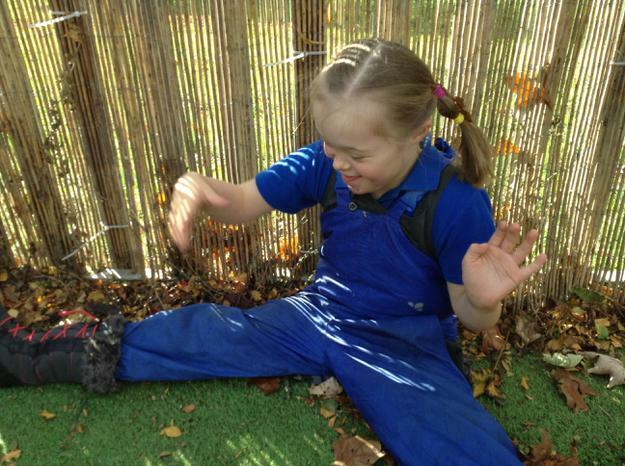 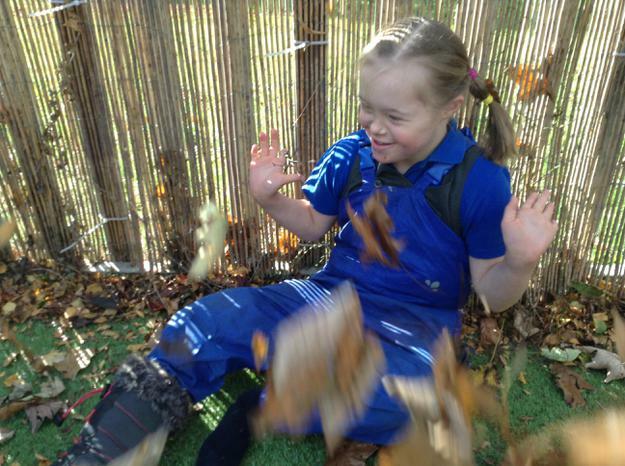 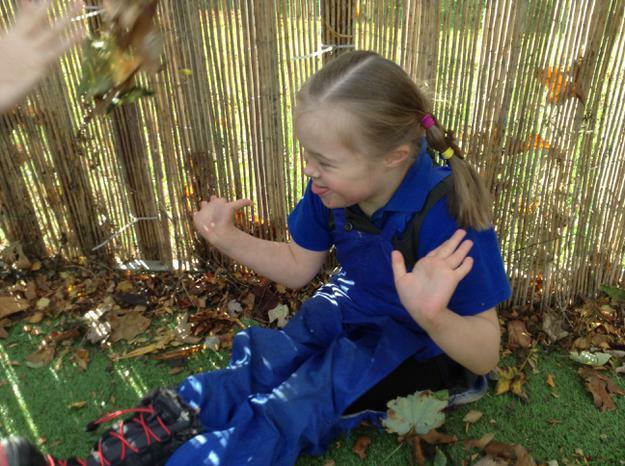 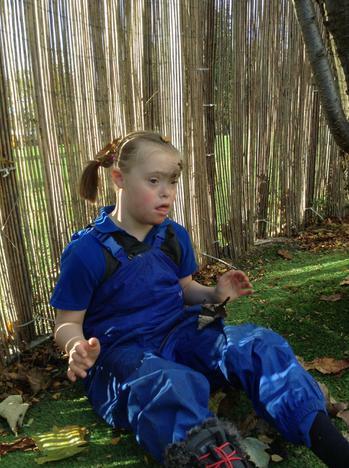 We also particularly enjoyed singing some Autumn poems and rhymes in our outdoor area and enjoyed watching the leaves fall all around us! 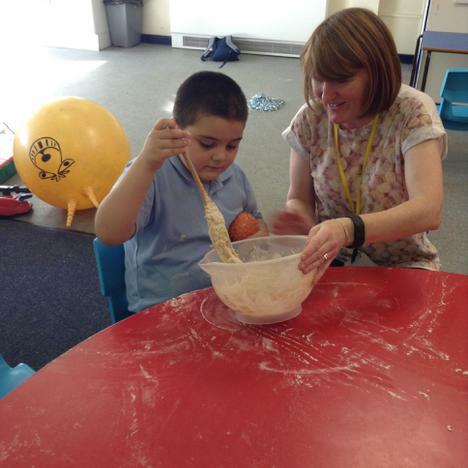 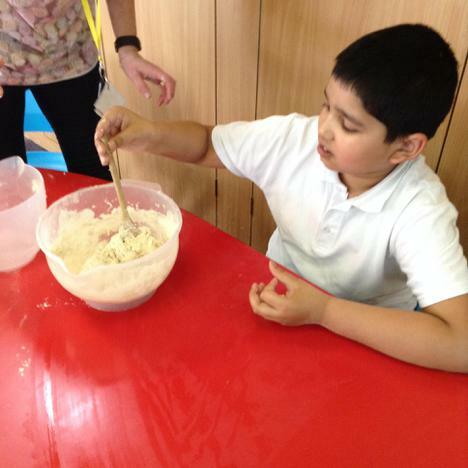 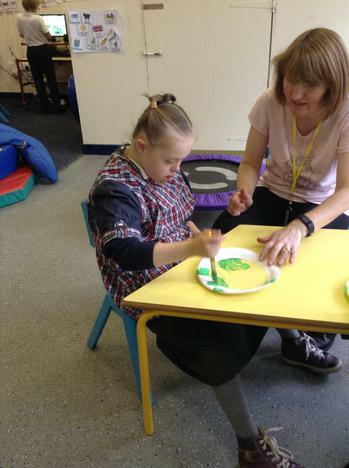 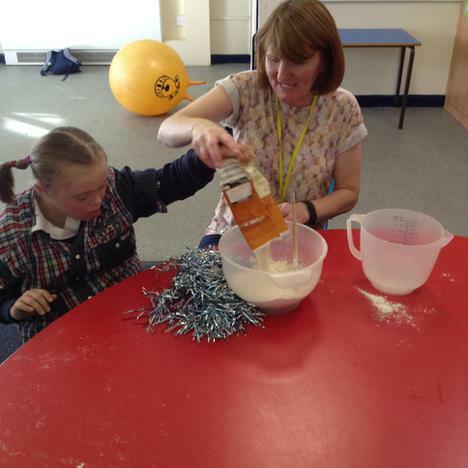 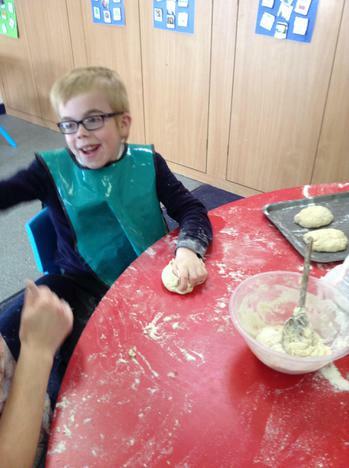 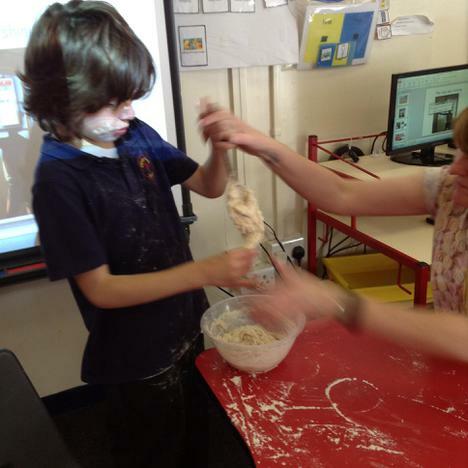 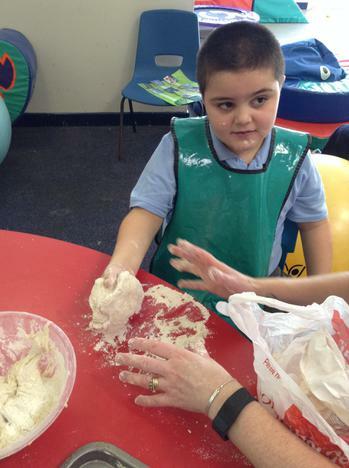 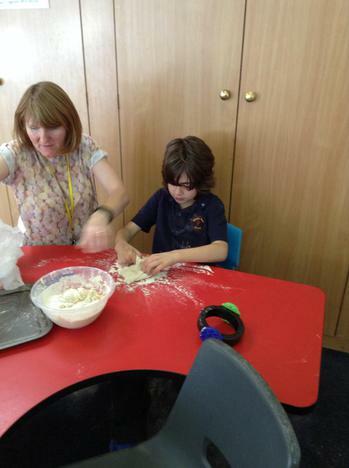 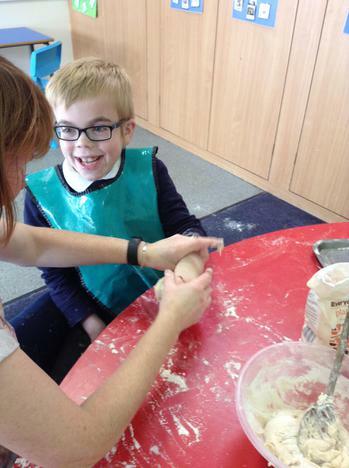 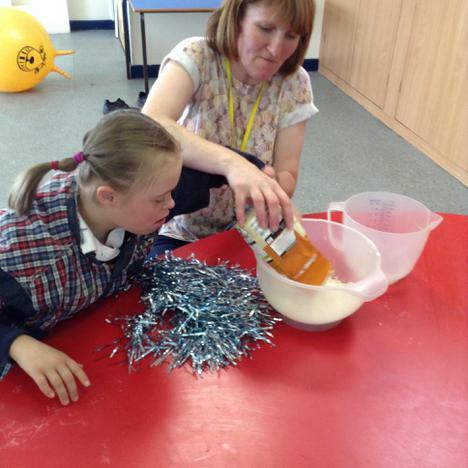 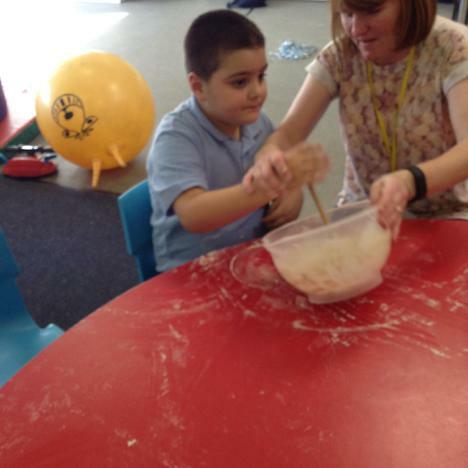 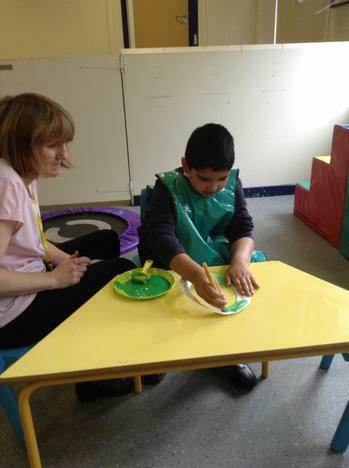 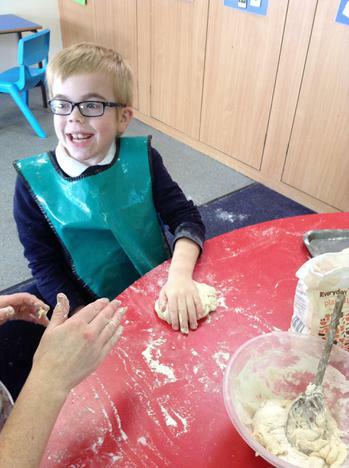 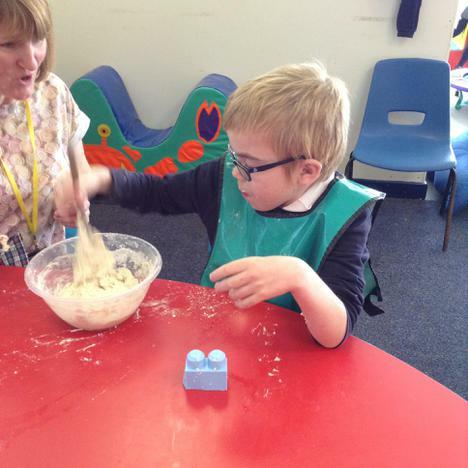 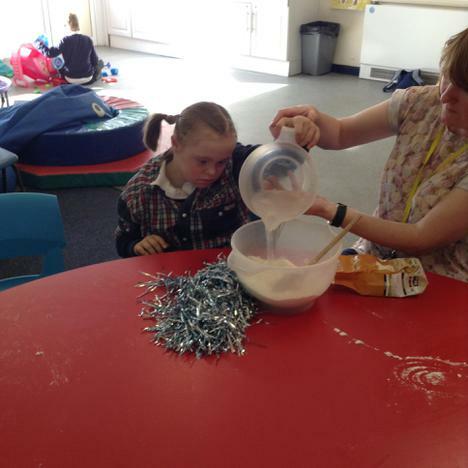 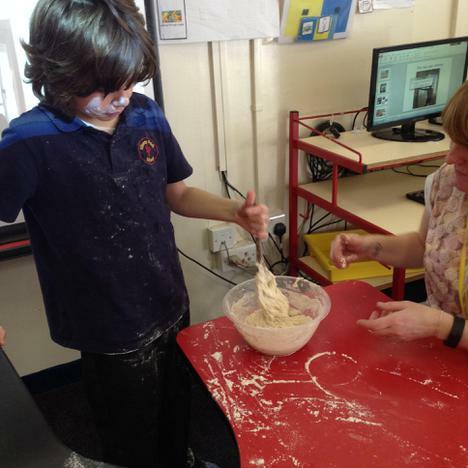 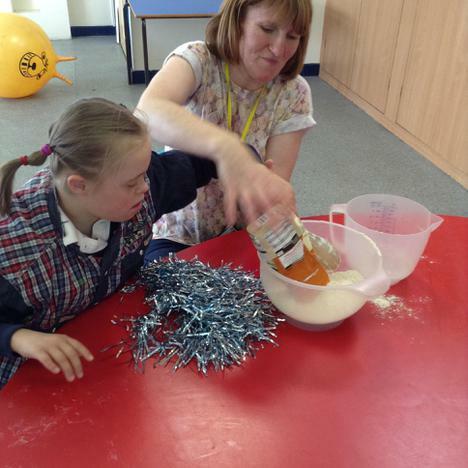 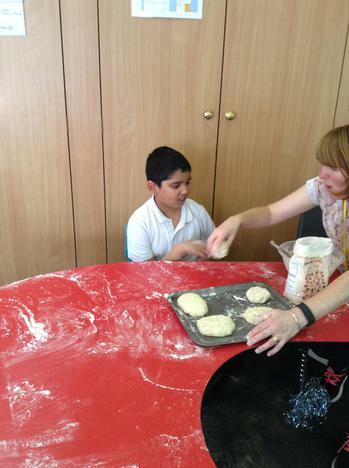 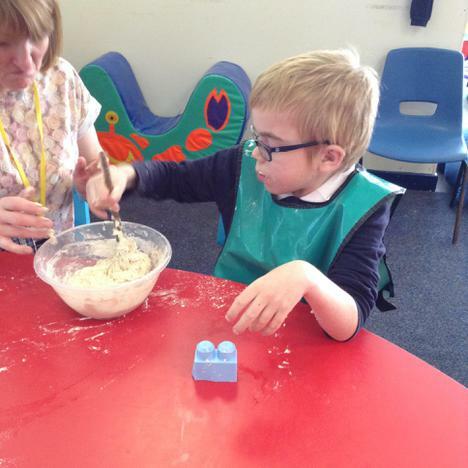 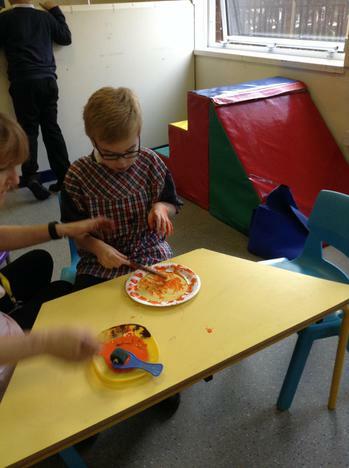 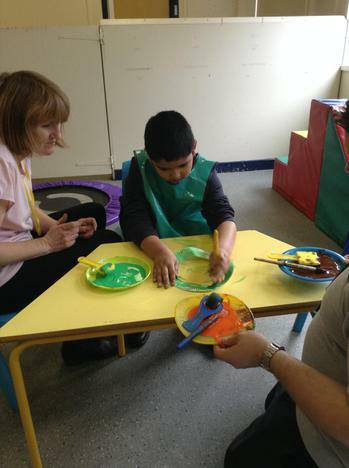 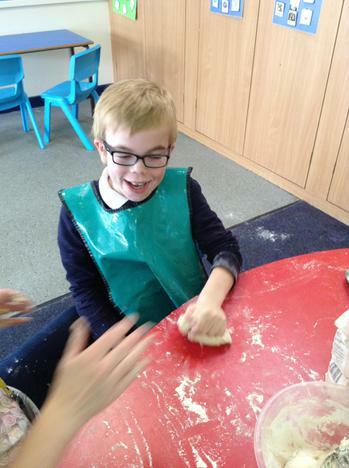 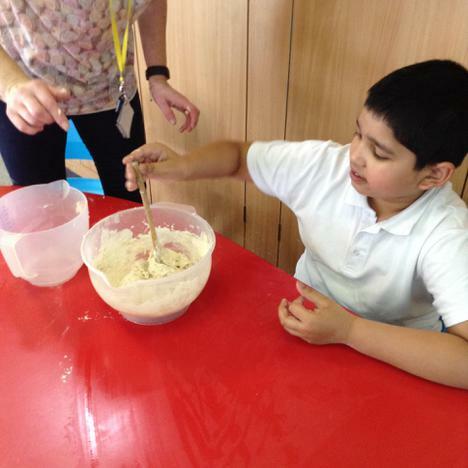 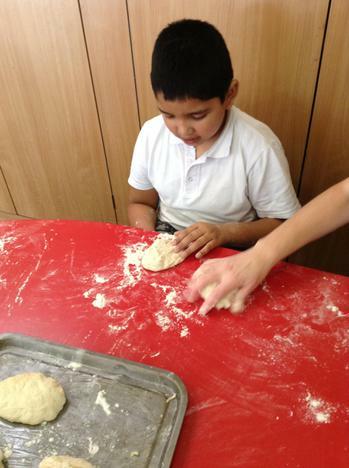 Our cookery session was fun this week as we made delicious bread rolls, we had lots of fun kneading and rolling the dough. 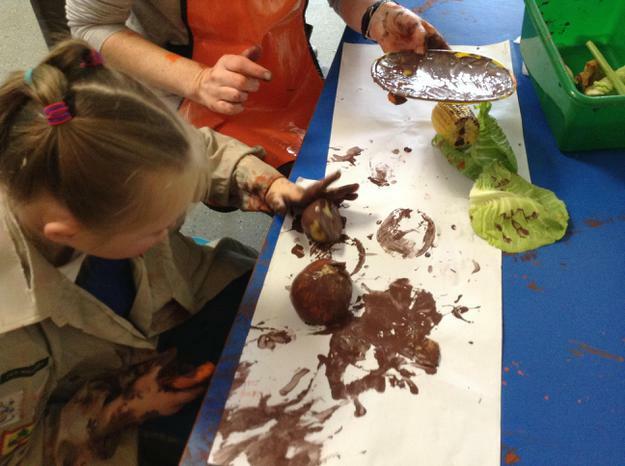 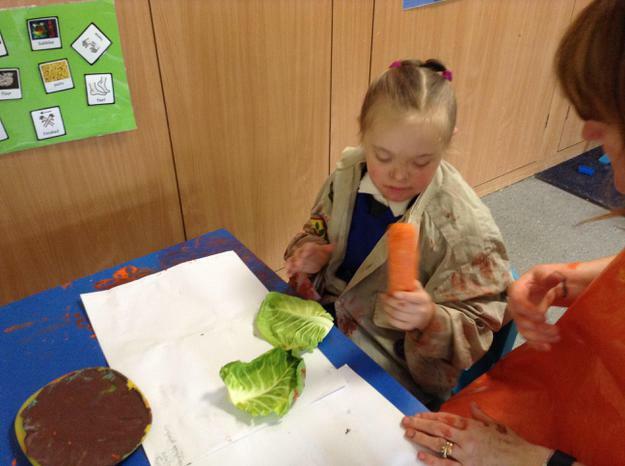 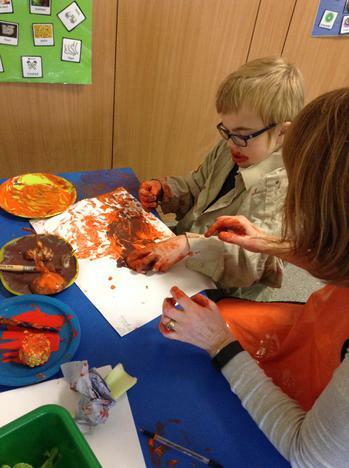 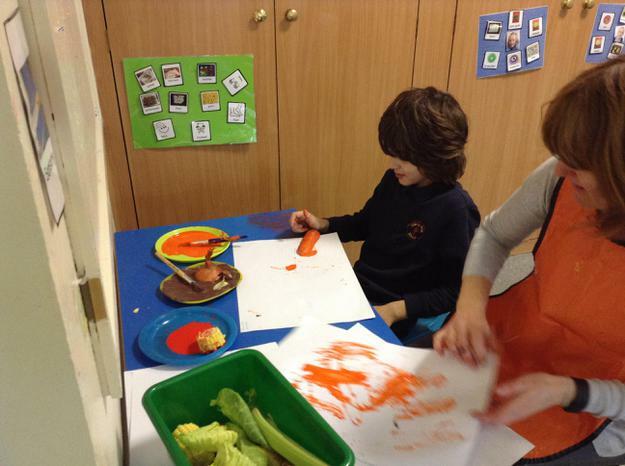 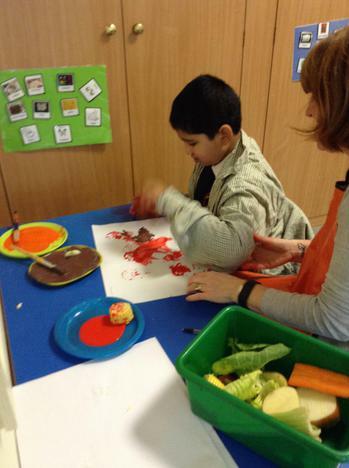 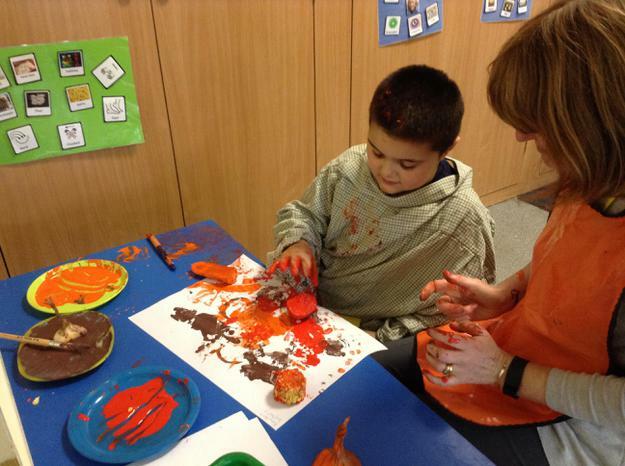 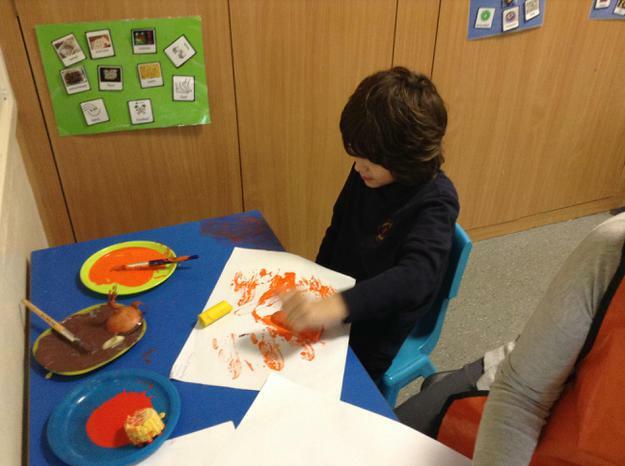 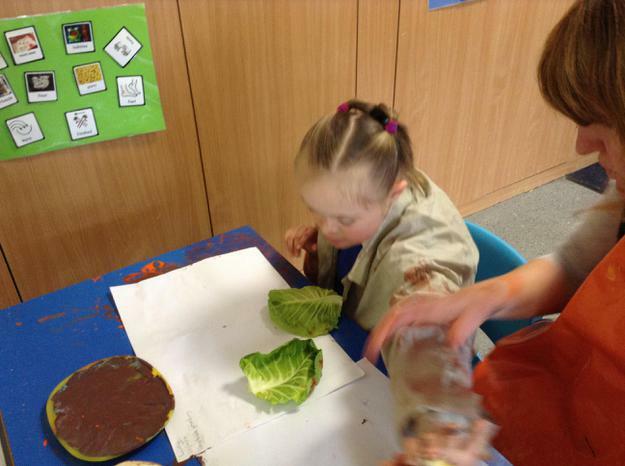 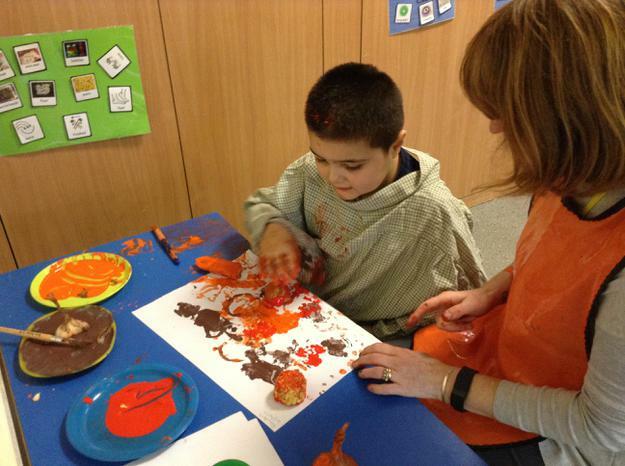 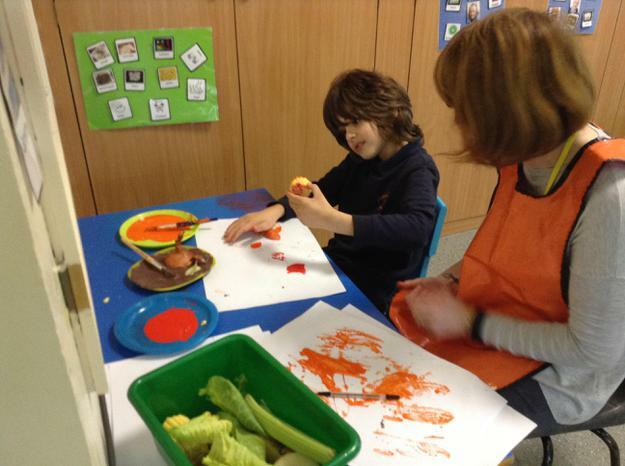 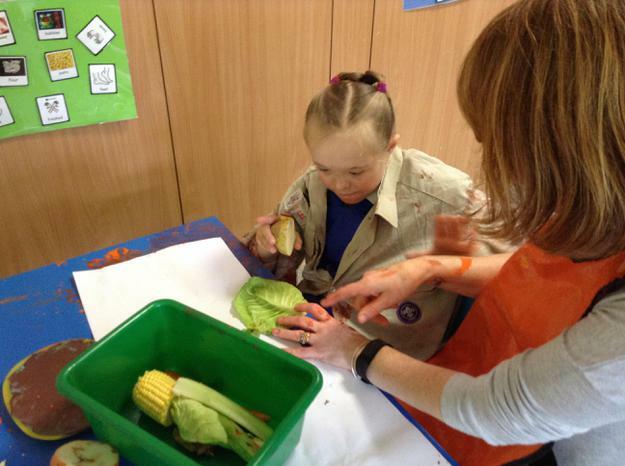 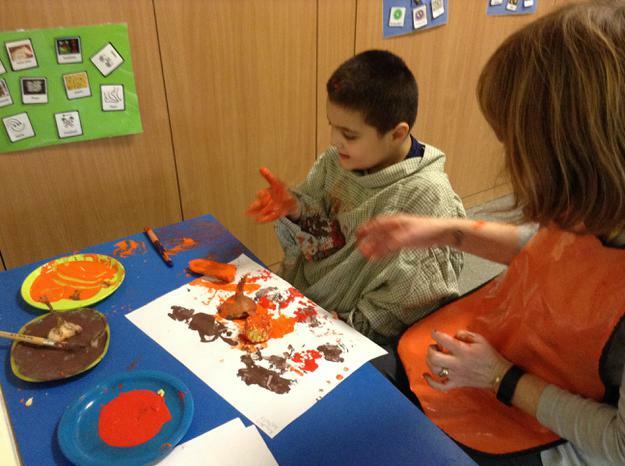 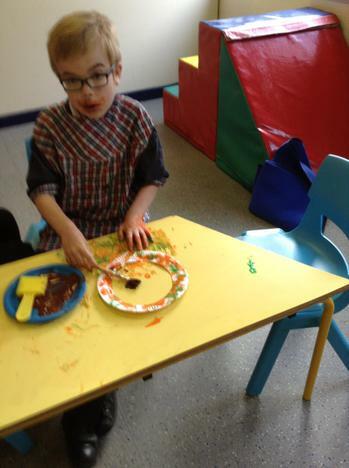 Finally, we used a variety of Harvest vegetables to make prints in paint with. 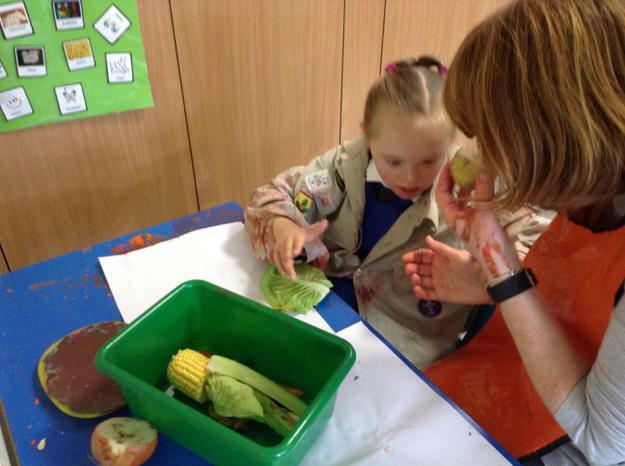 There was also a whole school Harvest assembly this week and we enjoyed singing Harvest songs and displaying our artwork to the rest of the school.